The Division of City Schools, Las Piñas City was established as one of the thirteen divisions of DECS – National Capital Region. 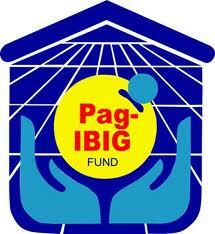 It was formally opened on July 2, 1997 with the grant of cityhood to the former town of Las Piñas. Pursuant to Section 44 of the Las Piñas Charter, otherwise known as Republic Act No. 8251, the City Schools Division was officially created and was officially separated from the Division of Parañaque – Las Piñas (PARLAS) during a formal turnover ceremony held on June 27, 1997. Maintaining the over-all administration and supervision of elementary and secondary or basic education at the division level is the promotional / supervisory staff headed by Ms. VIRGINIA L. PEÑAFUERTE as its City Schools Division Superintendent who is ably supported by Dr. LOURDES M. VICTORIANO as its Assistant Schools Division Superintendent. Video: Where do you think our education is heading to?